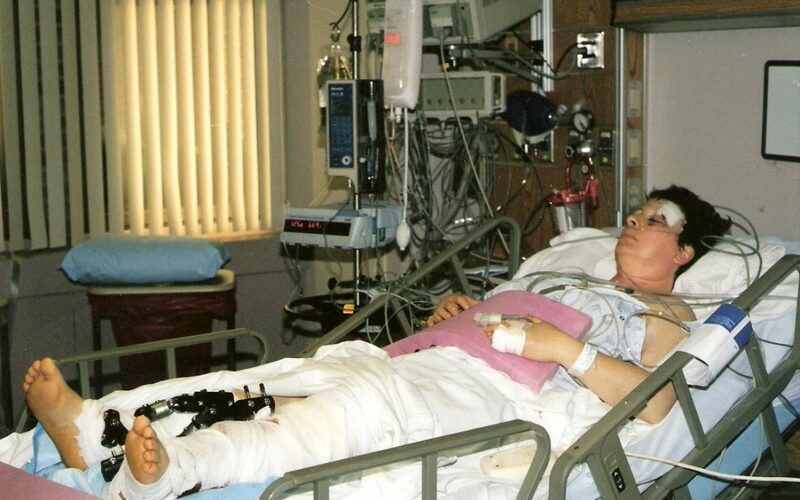 Following the car crash that left Susan Baldissari permanently injured, she endured 15 surgeries over seven years as well as extensive physical therapy, both in a rehabilitation hospital and as an outpatient. 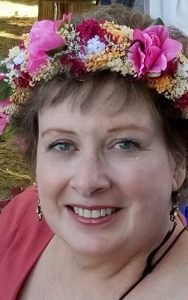 Twenty years later, Sue knows she needs another ankle surgery but puts it off, her long experience with hospitals and doctors leaving her disinclined to go through it all again. 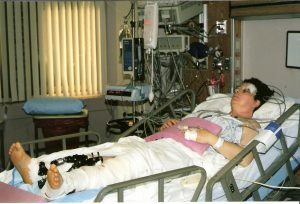 The last moment of her old normal life, she was taking a short drive to the local video store to return a movie; the next, she was bloody and broken, with lacerations above her eye, severe bruising across her chest, a broken hand, cracked femur and pelvis, damage to the tibia and fibula, and internal bleeding. A drunk driver had hit Sue’s car head-on and then spun with such force that his vehicle slammed again into the driver’s side of her car. Rushed to Inova Fairfax Hospital in Northern Virginia, Sue remembers a high-paced environment and skilled surgeons including Dr. Arthur Trask and Dr. Robert Heilen. It was Dr. Trask, arriving for his shift a few hours after she came in, who noticed an abdominal bleed that had been missed earlier on the scans and immediately took her in for surgery. “I remember telling people my stomach hurts, please check my stomach,” she recounts. Today, thanks to new technology and research, enhanced scans help surgeons quickly determine whether patients are bleeding internally and to what extent. Likewise, since 1998 when Sue was hit, new physical therapy techniques and devices—such as exercise sequences, gait-correcting insoles and vibrating posture sensors–help trauma survivors better recover and eventually return to higher functioning. Doubtless many injuries are minimized as a result. There are about 190,000 deaths from traumatic injury each year in this country, but for every fatal injury, another three to four people, like Sue, survive their trauma. We celebrate the improved trauma systems and treatments that have saved lives, yet still too often the survivors live with life-limiting disabilities and pain, emotional distress and depression, insurmountable healthcare bills, and a diminished quality of life. A new normal that is far from acceptable. Sue—who still walks with a cane at times and has a body is full of hardware—has been active in Mothers Against Drunk Driving, champions access for the disabled, and volunteers with the American Trauma Society’s Trauma Survivors Network (TSN), a program of support and education for people going through the same challenges she faced following injury. And this year, she joined the Coalition for National Trauma Institute to advocate in Washington, D.C. for a national trauma research plan. “I find my trauma survivor work beneficial for both my and others’ healing,” Sue confirms, working toward a better “normal” for everyone. 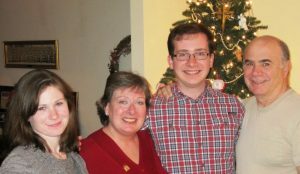 Sue and her family in 2014. 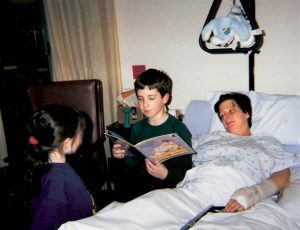 Baldissari at Cameron Glen Care Center in 1998. 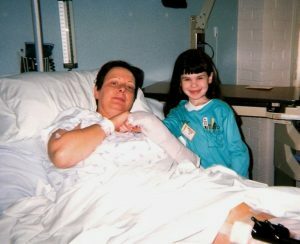 Sue relishes a visit from her daughter, Amanda, during her hospitalization.